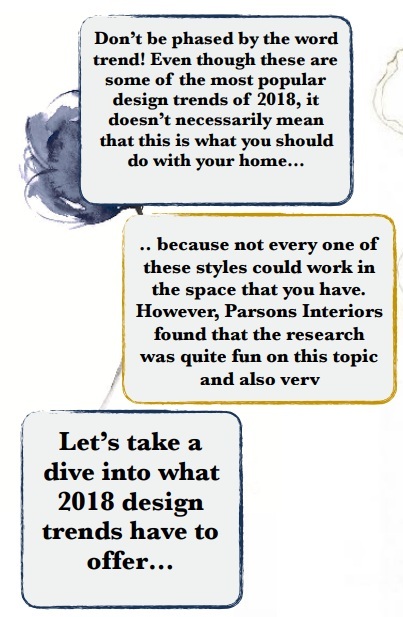 Have You Signed Up For The Parsons Interiors Ltd Newsletter? Our email newsletter is a one-stop resource for relevant news and content about Parsons Interiors Ltd, interior design, home décor, and home staging services. With everything you care about in one place, it’s easy to stay in the know about all things related to interior designing and home staging. When space is limited, sometimes it can feel like your options are also limited. 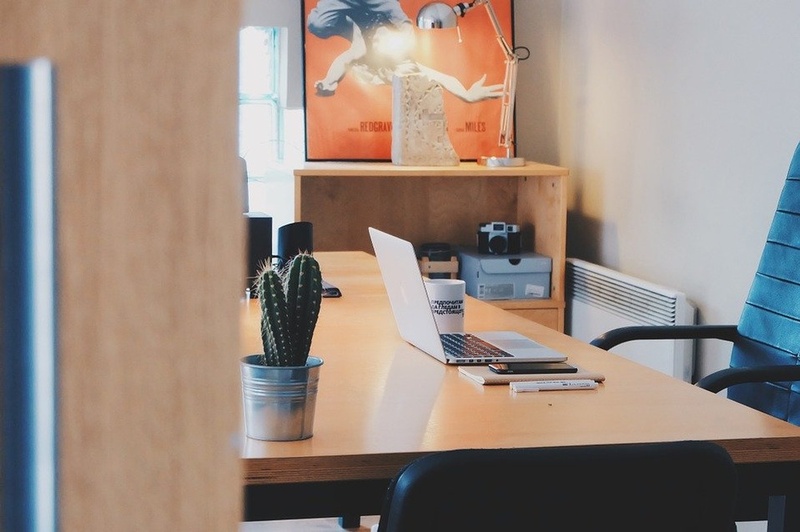 However, when it comes to home offices, you can carve out a functional workspace without a lot of square footage. Whether you’re going back to school, ready to start working from home, or just need a better spot for paying the bills, there are some great choices available to you, even in close quarters. If you are looking to refresh your bathroom without doing a major renovation, here are some tips. Updating your bathroom can put new life into the mundane; however, not everyone has the time, experience or budget to do a full renovation. If your tub and tile are in good shape, you can refresh your bathroom without too much effort. How does Parsons Interiors Ltd turn your house into a home? Every industry has its own language and terms. These words and phrases can be confusing to anyone who is not part of the daily operations of a specific industry, and the interior design industry is no exception. To help you understand the terms, acronyms, and phrases regularly used in the interior design and decorating industry, Parsons Interiors has created this handy reference guide. Interior design is something most people want, but planning on doing it your self can be quite a challenge if you do not know what you are doing. It gets tougher when the budget is tight, and there are structural challenges, and multiple tradespeople need to work simultaneously. At Parsons Interiors, we believe that the best way to mitigate any stress over the right design is to be prepared and have a perfect plan. Keep reading to learn about how we helped a client install a decorative wall. Season’s Greetings from Parsons Interiors Ltd.
Whatever is beautiful and brings meaning and happiness, may it be yours this holiday season and throughout the coming year! Parsons Interiors Ltd. wishes you and your family a safe and happy Holiday Season, and a healthy, and peaceful New Year 2019! We would also like to take this opportunity to thank you for your continued support and business and look forward to seeing you in the New Year. Why You Should Choose Parsons Interiors Ltd. Interior design is a big part of your life because you have to live with it every day. The aesthetics of your home are meant to help you relax and feel happy. However, poor design can induce the opposite effects. With the help of an expert interior designer, you can learn how to make the best use of the space you have. These professionals enable homeowners to open their minds to new ideas, patterns, and facilities based on their experience and keen eyes for design. However, while looking for an interior designer, you need to put in a sufficient amount of research to find someone that matches your expectations. You need to go through the reviews you see online and speak to people who’ve worked with them. At Parsons Interiors, we pride ourselves on providing high-quality interior decorating and design services at affordable prices, and over the last several years, our success has been driven by happy clients, who have given us referrals and written positive reviews about our services. In the world of interior decorating and design, the emergence of new trends, styles and color choices happen at regular intervals and can rarely be predicted. Often styles that seem like they’re going to be a rage catapult into the realms of ridicule, while some frowned upon selections go on to become a statement of intent among people and in homes and offices. Busted! Don’t Believe These Interior Decorating Myths! Everyone deserves to live in a home that’s a reflection of their style and personality. However, the process of sparking a drab wall or room into life takes more than just a couple of DIY videos and magazine cut-outs. By relying on a professional to help, you will get the best ideas and prices as well as a home with renewed life. As interior decorators, it’s essential for us to keep updated on the latest interior design trends and find fresh sources of creative inspiration while staying connected to other professionals. So, you wanna talk about Leather? For centuries, leather has contributed to the quality of our everyday lives and today it is used in such a wide variety of products such as shoes and belts and jewellery to couches, chairs and car seats. Approximately, 50% of all leather produced is used in the manufacturing of footwear, 15% in the automotive industry, 12% in upholstery, 8% in garment, 5% in gloves, with the remaining 10% in various industries. Home is meant to be a place where we come to relax, recharge, and find comfort. Believe it or not, the right décor and finishes can play a huge part in creating that oasis feeling! One particular design piece that brings a great amount of warmth into your space are area rugs. Throw one by the entry way or under the dining table, and you’ll see just how much more inviting and livable the space feels! When you think wallpaper, your first thought may be a flashback to your grandmother’s old dining room. The floral patterns with green vines wrapped around the crown. Let’s face it, wallpaper had it’s time. But as we see 2018, the once-dated interior feature has returned…and it might just be here to stay for a while. Top of the line products for unbeatable prices! New Spring Collection of Designers Fabrics right here at Parsons Interiors! Why shop online when you can have the opportunity to touch and feel something. 5 Simple Tips To Make A Difference ! “Ever wonder how to make a space in your home feel and look unique and bring out your personality? Then you need these 5 simple TIPS” Says Jackie Connolly from Parsons Interiors ! 5 Design Elements to accomplish a well designed room or home! Ever notice how your spirits are instantly lifted when you’re enjoying the outdoors? Whether it’s a walk on the beach, a walk through the woods or even being in your own garden; being around nature just creates happiness! A new style that is being introduced in the design world is Biophilic Design. It stems from the word “Biophilia”, which is a concept that describes the relationship between humans and nature.